Brass pipe fitting female branch tee is made of nickel-plated brass, with three opening for connecting and branch three pipes at two 90° angles, female thread for connecting male threaded pipes. 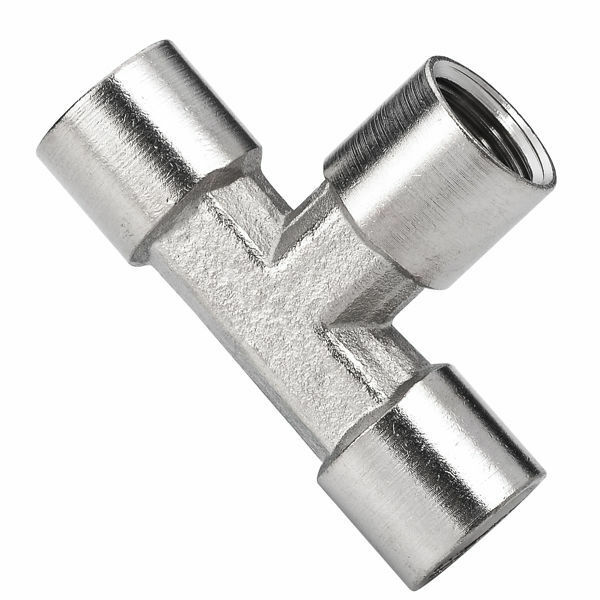 Pneuflex's brass pipe fittings all meet specifications and standards of ASA, ASME and SAE. 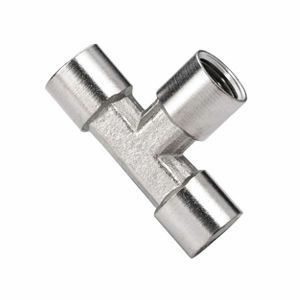 Pneuflex’s brass pipe fittings are manufactured for low and medium pressure pipe line connections. The fluid can be water, refrigeration, instrumentation, hydraulic systems, grease, fuels, LP and natural gas. Accommodate thread sizes ranging from 1/8" to 1".